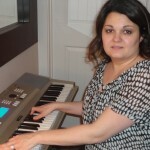 Meet Kristy Spencer, one of the seven winners of a complete copy of our Digital Home Study Course, “The Logic Behind Music,” in our December 2011 contest. Her entry was one of more than 1000 reasons why people thought our course could help them fulfill their musical dreams – and our jury thought Kristy’s story was a winner! I started playing piano at the age of 5. I am now 37. I have been to teacher after teacher and still can’t play by ear. All of my life I have dreamed of being able to sit down at the piano and just play without having to read music. I want to be able to improvise and play my own music. 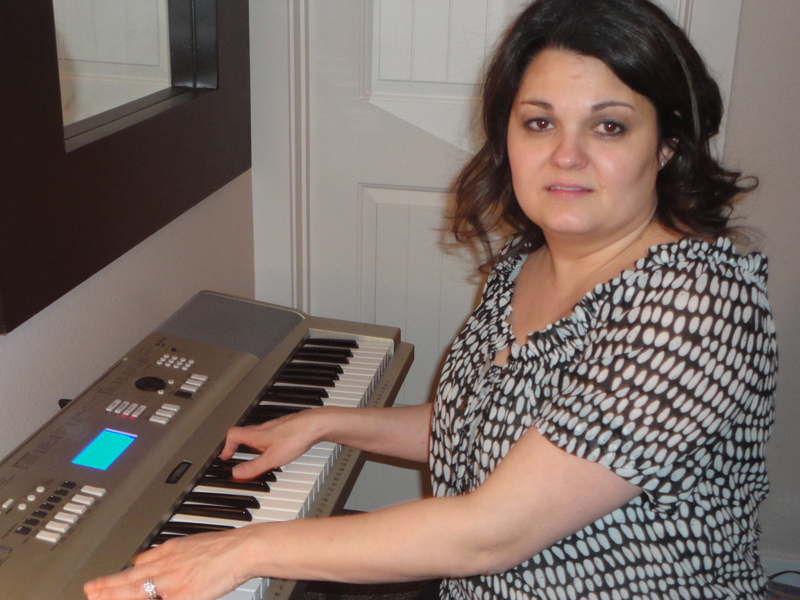 I have always dreamed of singing and playing the piano as an artist. I am looking for a way to teach me to create. I think this would be that instruction that I so desire to learn. I can honestly say that when I came to the site to check out the winners of the contest, I wasn’t expecting to see my name. When I saw my name I had to rub my eyes. I left the website and retyped the web address very carefully so as not to get the site wrong because I couldn’t believe that my name was chosen from the list of all of the great stories. When I saw my name for the second and third time I was so overcome with gratitude and emotion that I began to cry. I am finally starting to hope that my dreams may just come true. Kristy says she hopes her story inspires others to fulfill their dreams–especially because this was an unfulfilled dream of hers for nearly thirty years! I would find myself sitting and dreaming of being an artist and playing my own music. I would say to myself that’s all it is, is a dream. Somewhere about the time I turned 34 or so, I had gone to a concert and the music and musicians had such a profound impact on me that I really started to reevaluate my life. I would listen to their albums over and over and over, and somewhere [between] the time that I had gone to the concert and the time I turned 36 I realized that music was really one of the foundations of my life. I knew that this was what I was meant to be doing. I realized that I would rather be on the bottom of the totem pole doing something that I love, than at the top of a profession I can’t stand. I only had one problem: I still couldn’t play the piano. We were thrilled to be able to help Kristy make her dream come true. Kristy received her copy of our Digital Home-Study Course, “The Logic Behind Music,” in December. She tells us that she now practices almost every day and is well on her way to making her dream a reality. It doesn’t matter what style you want to play, what age you are, what experience you have, or where you are in the world. You can start your piano lessons today. Grab a copy of our Digital Home-Study Course “The Logic Behind Music” and discover the talent you didn’t know you had! Click here to read more about our course. Special thanks to Kristy Spencer for letting us share her highly inspirational story. We look forward to hearing more from all of our subscribers about your progress! …Want to read more about the winners of our contest and their dreams? Click here! Oh, what a great and touching story! Tells us that nothing is impossible! I wish you good luck, Kristy! I have been dreaming and even tried to learn with different confusing method which lead to discouragement from my side. Due to all the complicated explanation about how to learn to play the piano. I just had my 53 anniversary but i haven´t giving the hope of learning to play this beautiful instrument.